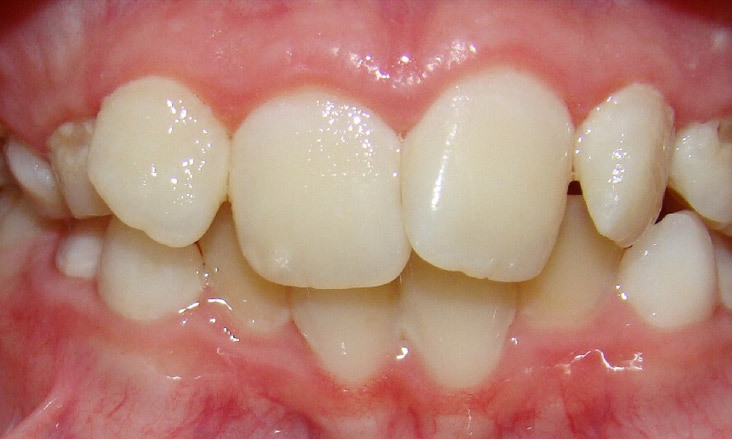 This patient had hypoplastic adult first molar teeth that subsequently suffered a lot of decay and on presentation were painful. 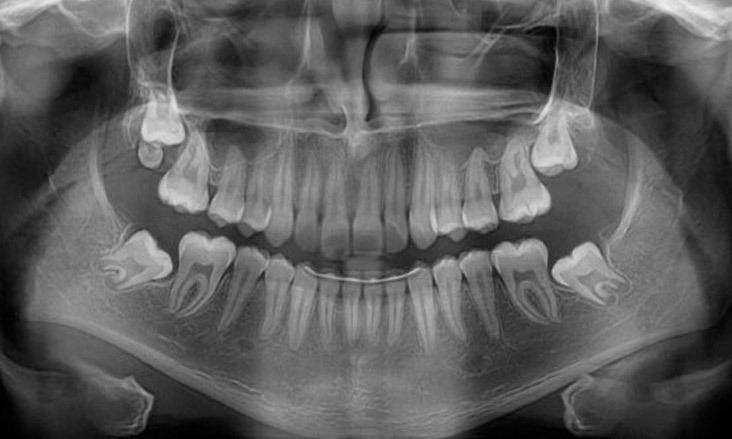 On the OPG x-ray you can see large radiolucent areas in the crowns of the adult first molar teeth and that all teeth are present including wisdom teeth. 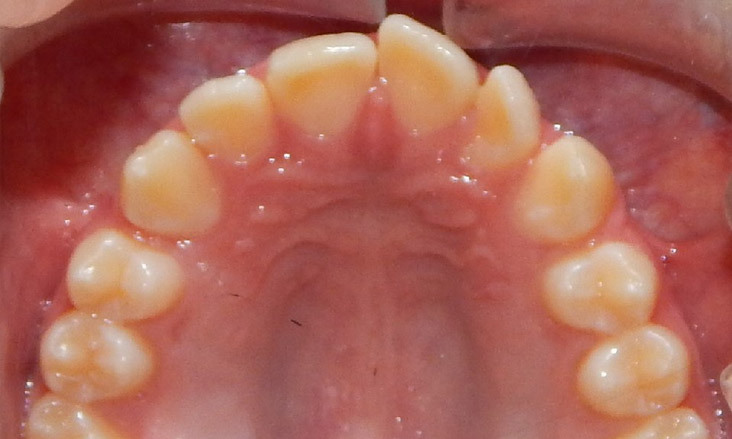 There was a lot of crowding of the anterior teeth. 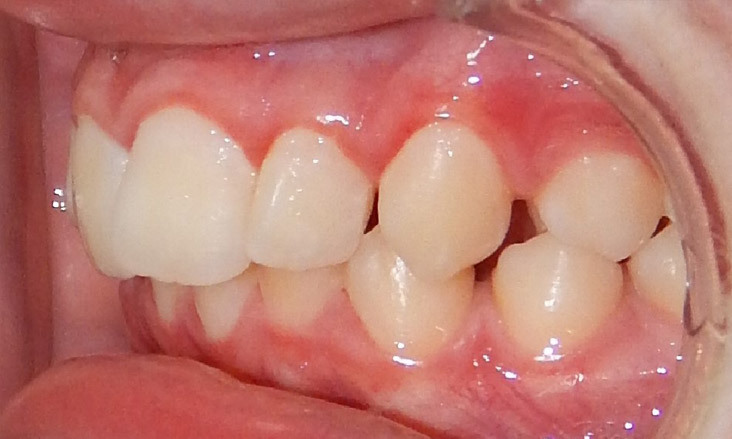 The decision was made to remove the four adult first molar teeth to create space for the anterior teeth, remove 4 significantly compromised teeth and quite likely provide sufficient space for the wisdom teeth to come through as useful teeth in the future. 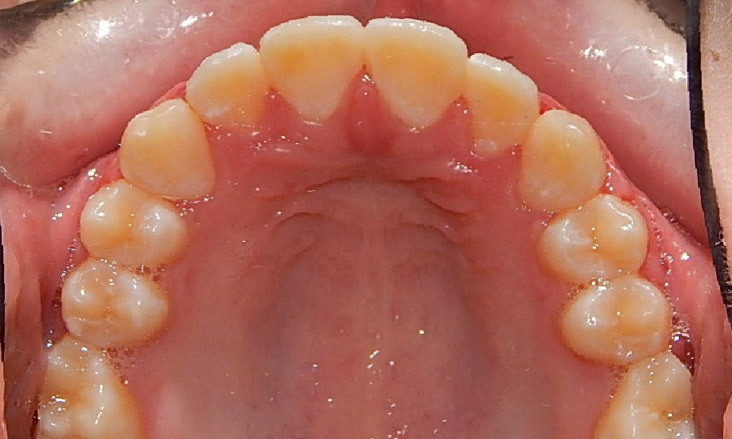 There has been just over 2 years since the four first molar teeth were removed. 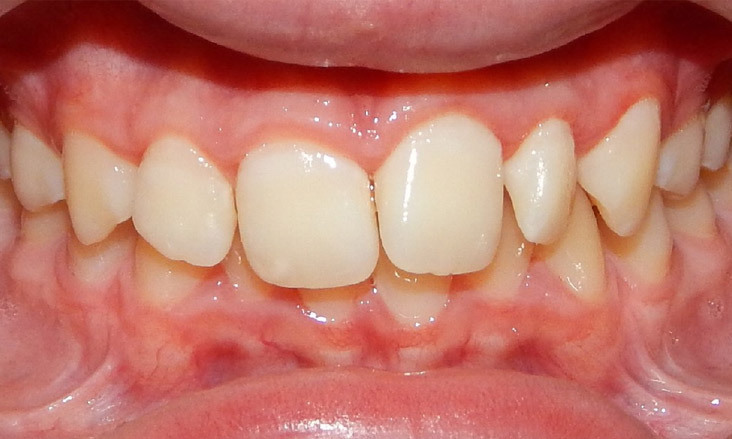 From the occlusal photos you will notice that the amount of crowding has reduced and that a lot of the space from removal of the four first molar teeth has closed – especially in the upper occlusal photo. 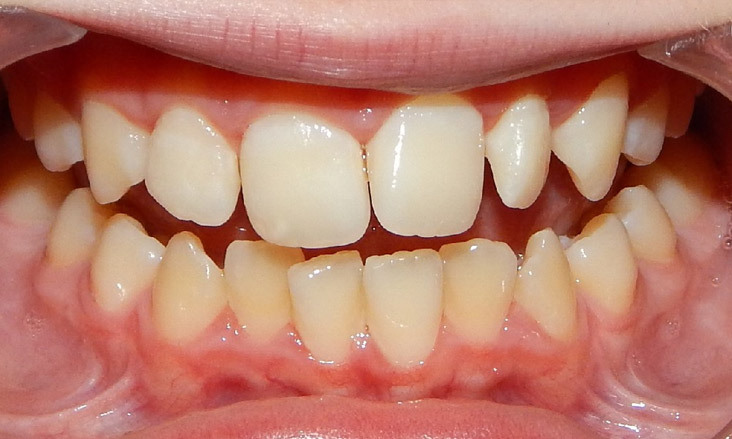 Braces were placed to straighten the teeth and provide an ideal cosmetic appearance and an ideal bite with teeth that are then easy to clean for the future. 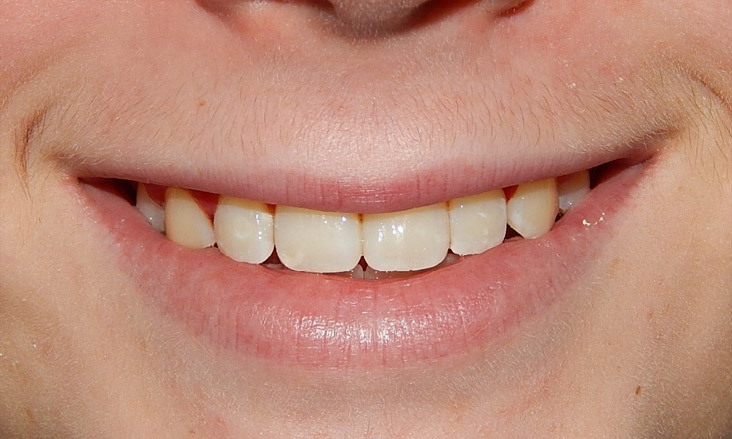 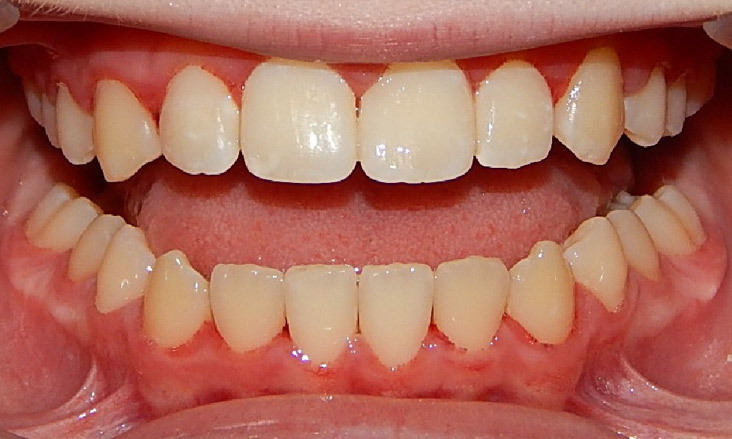 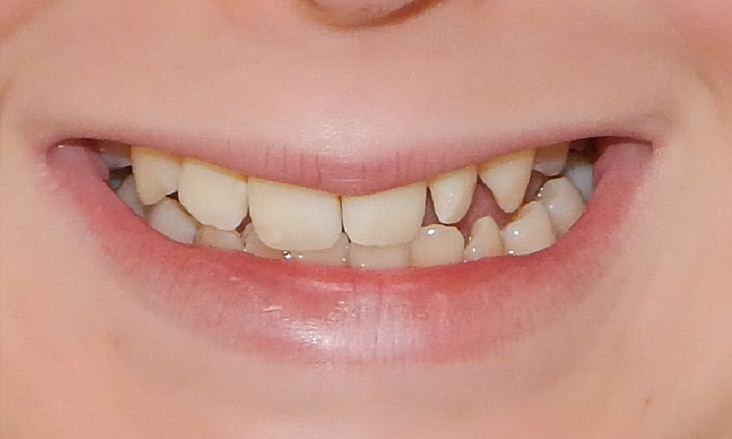 Treatment with braces to the upper and lower teeth and the use of elastics (rubber bands) took just over 13 months. 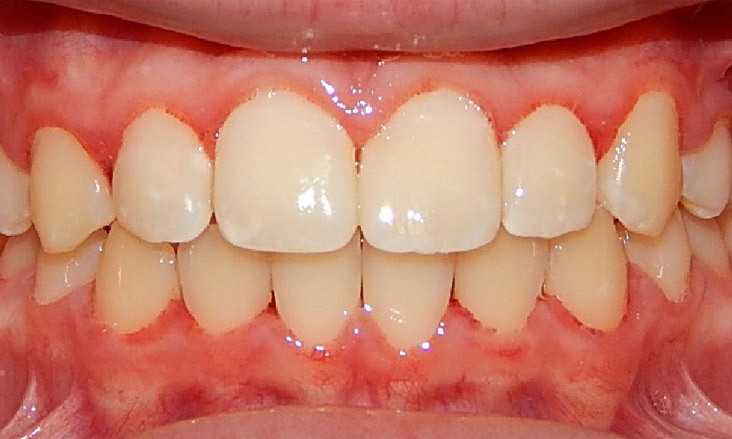 Retainers were placed the day the braces were removed. 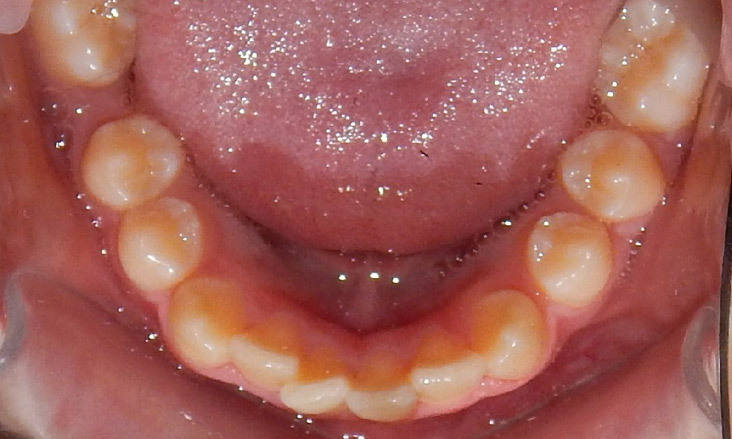 In the lower occlusal photo you see a fixed lingual wire retainer. 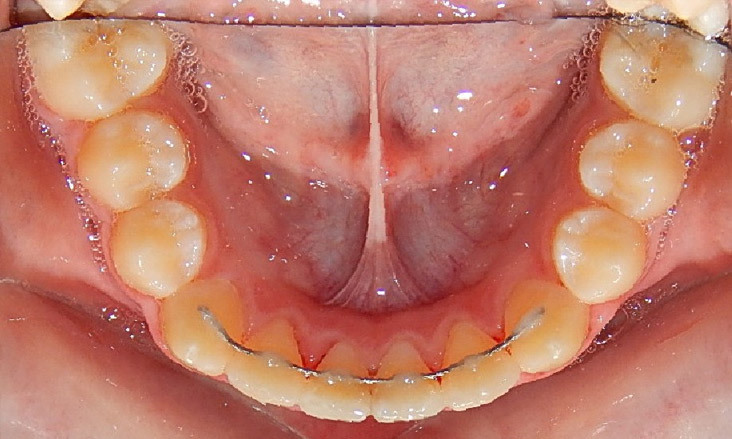 The upper retainer was a clear plastic removable retainer. 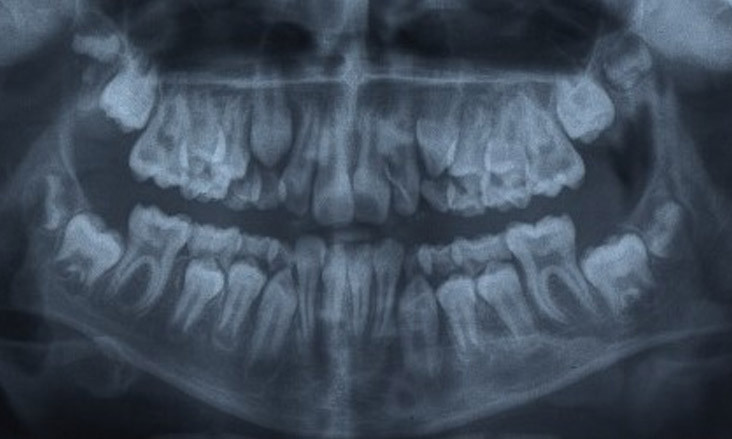 2 years later an OPG x-ray was taken and you can see that there appears to be sufficient space for the wisdom teeth to erupt. 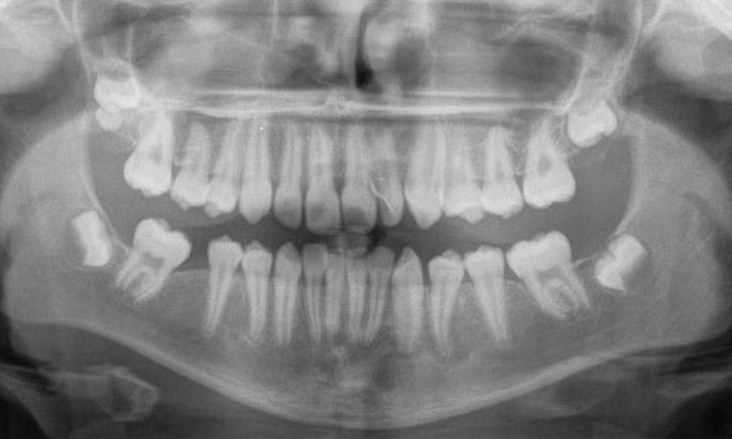 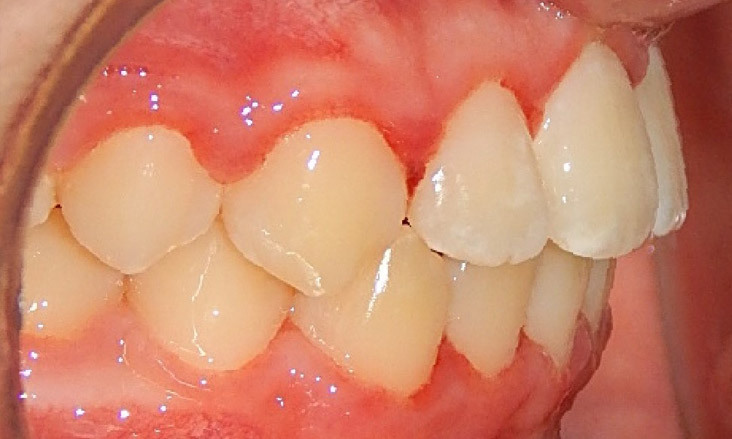 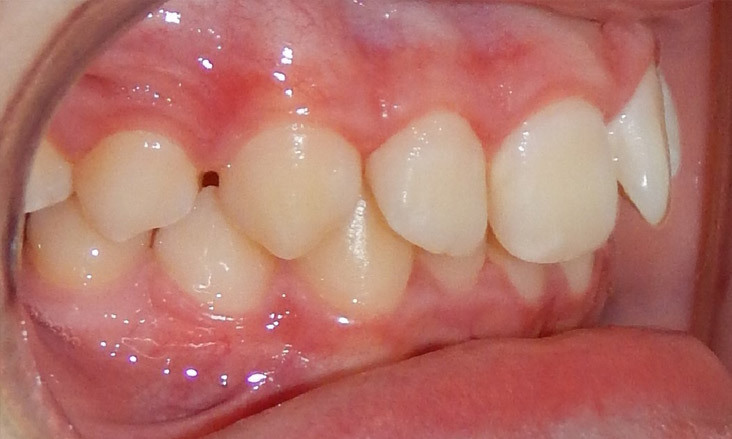 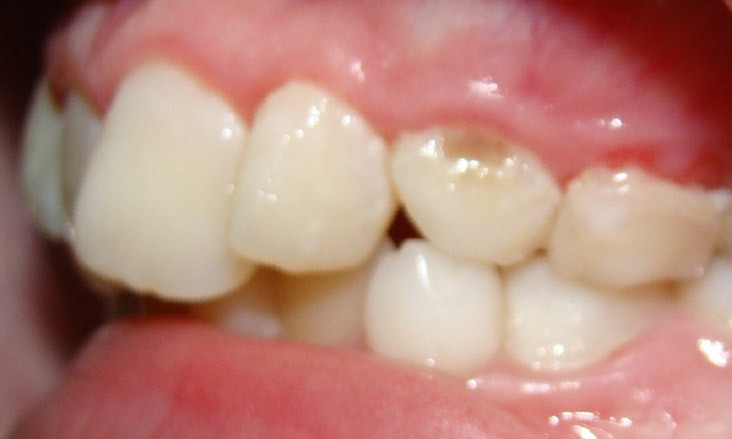 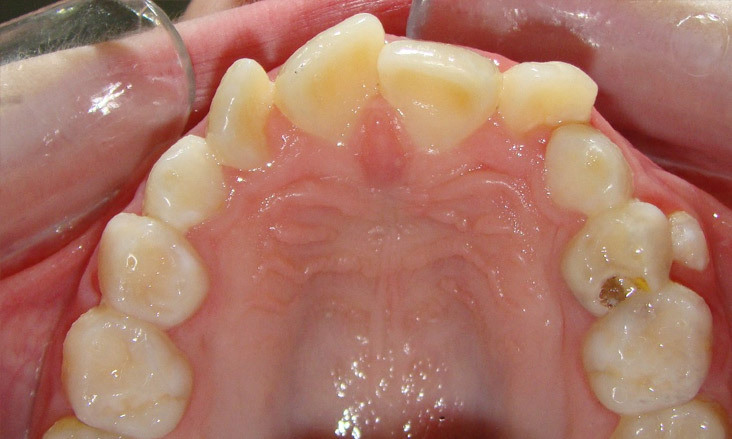 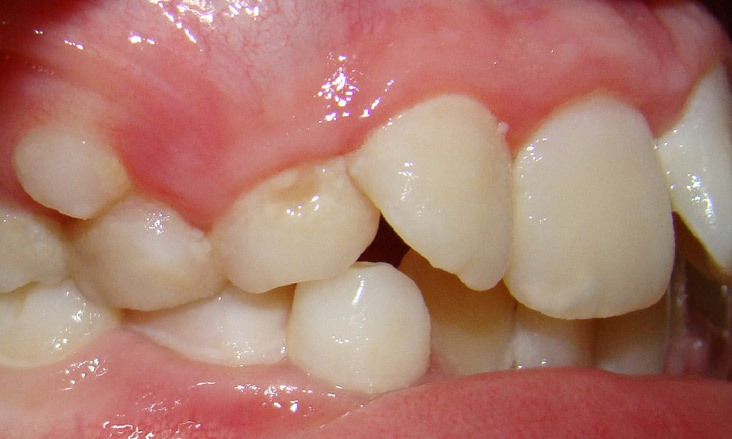 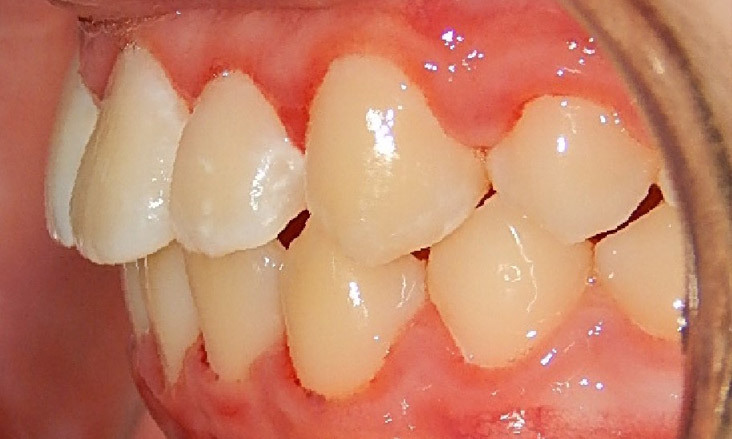 There is a supernumerary tooth below the upper right wisdom tooth. 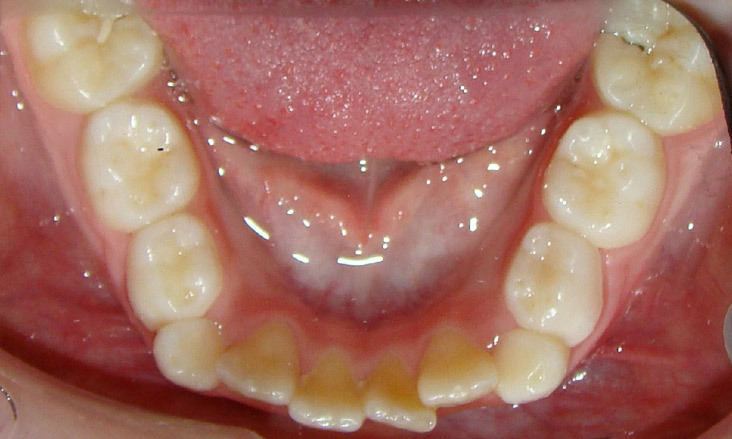 When the wisdom teeth do erupt sometimes braces on the back teeth are needed again to straighten the wisdom teeth and to prevent a food pack.